Novels can help engage students not only with Shakespeare’s language (as we discussed in Tuesday’s blog post about That Shakespeare Kid) but also with his characters and stories. With spring break coming up, maybe your students will be interested in a little light reading that also keeps them thinking about the Bard. Tell us: What books do you recommend to your students? 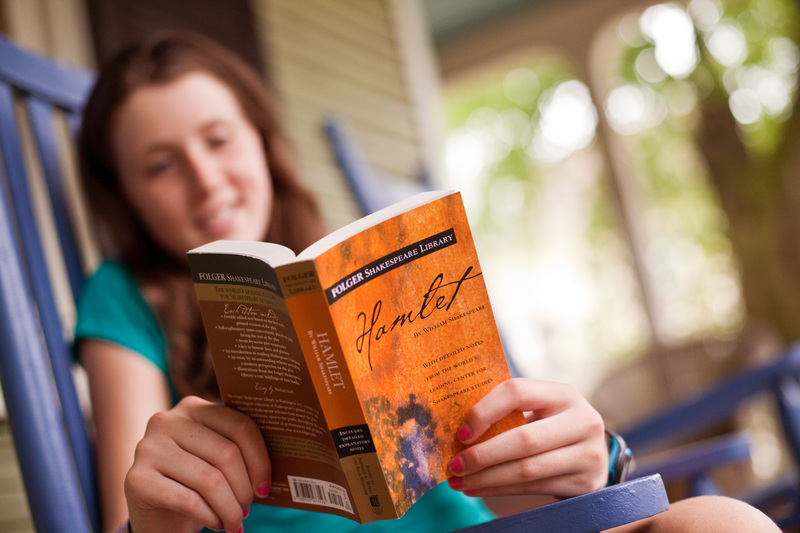 What are some of your favorite Shakespeare-inspired novels for teens? We have teachers ask us all the time how to introduce Shakespeare’s language in a way that’s engaging to students. One possible approach: young adult novels that weave the Bard’s words along with the kind of dialogue familiar to students. “That Shakespeare Kid,” by Folger Education’s senior consultant Michael LoMonico, presents just this combination. 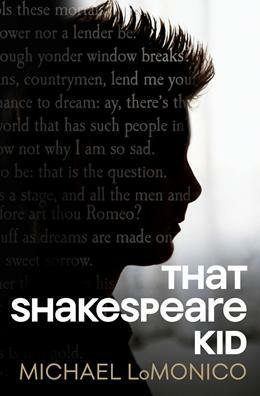 Fourteen-year-old Emma narrates the story of her friend Peter, who, after a bump to the head, finds himself able to speak only by using the words of Shakespeare. After spending so much time in the original texts of Romeo and Juliet this month to compare them to the Fellowes’s adaptation (billed in ads as “Shakespeare’s,” hence the frustration), I went home to my very large shelf of Shakespearean adaptations to remind myself of some great examples of how that text has been explored in different ways. As I did with Macbeth and Hamlet in the past, I’ll reserve a separate upcoming post for movies based on the star-cross’d lovers, and reserve this post for books. 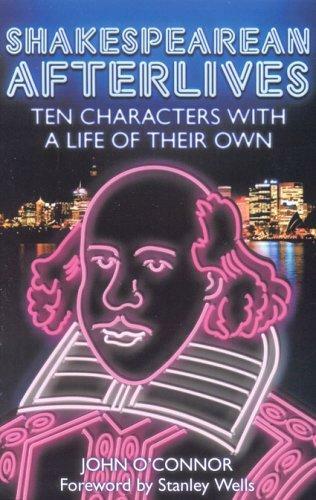 Shakespeare himself was an adapter, re-writing the timeless legend of the doomed lovers from several sources. 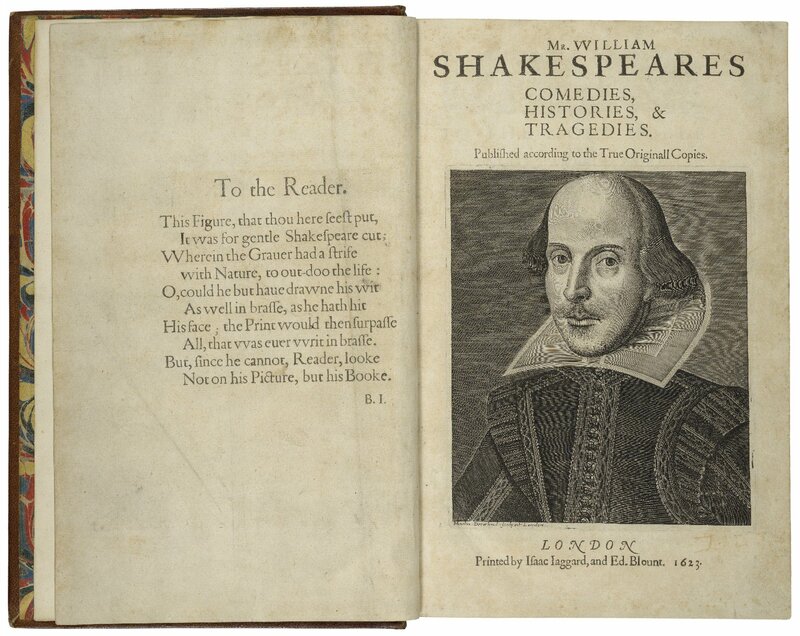 In Shakespeare’s Storybook, Patrick Ryan shares many possible inspirations that Shakespeare may have used, including Romeus and Juliet translated from the French by Arthur Brooke and Il Novellino by Salernitano Masuccio, among others. He didn’t claim the story, he re-told it in a way his audience would appreciate in his own words and put his own name on his work. What about Shakespeare’s work makes it so ripe for adaptation, but still somehow overshadows the adapters themselves? It’s wonderful to read a familiar story from someone else’s point of view. One of my favorite novels about this play is Romeo’s Ex by Lisa Fielder. Creatively, Fielder explores the life of the character who sets much of the action in motion and yet is never seen onstage in Shakespeare’s play. Rosaline, a Capulet herself, is not interested in the love-struck Romeo, and is even less interested in her family’s dangerous quarrels with the Montagues. If your students could write the story from another character’s point of view, who would they pick? Several other novels like Robin Maxwell’s O, Juliet and Juliet by Ann Fortier take on more contextual Italian history and explore what could have doomed the pair in their own time. Still others, like Saving Juliet by Suzanne Selfors and The Juliet Club by Suzanne Harper approach both Shakespeare’s play and the Juliet legend from the perspectives of teens and consider our desire to change the tragic course of events. There is also a chapter devoted to Romeo and Juliet in the non-fiction Shakespearean Afterlives by John O’Connor that explores the ongoing cultural perception of the couple, and our immediate instinct to compare any romantic boy or tragic girl to this particular pair. This is, of course, just a small sampler of the many many books that take on Romeo and Juliet as inspiration. I enjoyed reading them all (some more than others) since each new perspective gave me something new to think about in Shakespeare’s play. 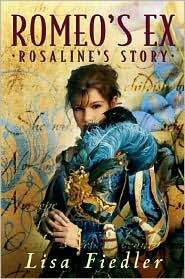 Do you have any favorite book adaptations of Romeo and Juliet, or have you read one of these books? Please tell us about it! We’ve told you plenty about our new favorite books: How to Teach Your Children Shakespeare and A Horse with Wings, both of which were featured presentations by the authors during our Conference on Teaching Shakespeare in the Elementary Classroom this week. Now that you’re in “summer-mode,” though, maybe you’d prefer a little something more to explore your favorite Shakespearean characters or history? Something just for YOU. I’ve got you covered. 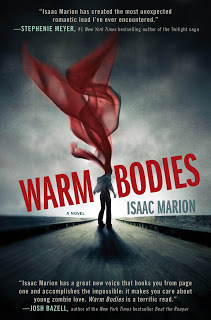 Warm Bodies by Isaac Marion shocked me with its insight and emotional impact. Post-Zombie Apocalypse, the world is pretty much divided between the struggling surviving humans and the remaining zombies. One zombie, R, (he can’t remember his whole name), experiences moments from the life of one of his victims after eating his brain, and finds himself changing in ways no one expected. He protects a human teenager, Julie, and together they find a way to adapt to the new world in which they live. The danger from both sides is still very weighty, but these future star-cross’d partners have hope on their side. The bonus to this book is that there has already been a good-looking movie adaptation to compare! Very rarely do I see novel adaptations of Shakespeare’s comedies. Lisa Klein’s Love Disguised isn’t necessarily an adaptation of one comedy, rather it is an imagined set of circumstances in Shakespeare’s young life which exposes him to all of the elements and characters he can use and re-use later when writing the comedies. Spunky female heroines, cross-dressing, twins, wrecks, inn-yards, mechanicals, bad luck, and even the legal system play a part in inspiring the future bard. The author knows her stuff, and has such fun with this premise that reading the book flies! Speaking of potential inspiration in Shakespeare’s lifetime, Kathryn Johnson’s The Gentleman Poet uses the historical account of the shipwrecked Sea Venture, which had been en route to America in 1607 and went down in the Bermudas. Miraculously, most of the passengers and crew survived and were able to rebuild well enough to hobble to Jamestown about a year later. The news captivated Shakespeare’s England, and may have inspired The Tempest. While this is a fictional account, the details of island life are unbelievably true. For a stretch, I also recommend the insightful, and maybe disturbing, account of a family falling apart from the perspective of the family dog in Matt Haig’s The Labrador Pact. With shades of Shakespeare’s Henriad, Prince the dog tries to resist temptation and remain the true, devoted family member he believes he was destined to be by birth and training. Agincourt by Bernard Cornwell narrated by Charles Keating – Henry V’s great war is the subject of this novel, and the author does not shy from the horrors of war in the 15th century. 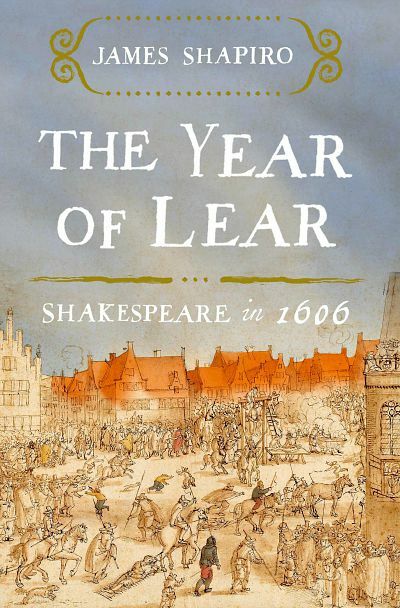 However, like The Gentleman Poet, this book builds on the history of the era to create an inspirational human experience worthy of Shakespeare’s pen. Enjoy your summer, and let us know what you’re reading! 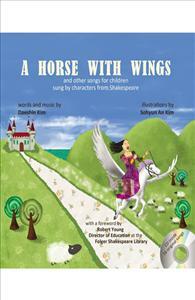 A Horse With Wings is a new children’s book that introduces children to Shakespeare by having characters from his plays sing songs. The journey from the idea to create the book and its completion is an interesting one. A few years ago, Daeshin Kim and his wife, Sohyun An, moved their family from Los Angeles to Paris. A big adventure, to be sure. The Kims wanted their children to learn French through immersion in French culture, and they were looking for a change of scene. What they found in Paris was the challenge their children faced adjusting to their new surroundings. What they also discovered was the power of music to help them get used to their new life in a new country. The family listened to all kinds of music: English, Korean, and French songs, and they sang along to the sounds and danced to the rhythms present in the music. Daeshin Kim says that, “the way that music helped our daughter to acclimatise to life in a new country really opened our eyes (and ears!) to the power of music, and our ideas to create children’s songs (with the added bonus of having each song sung from the point of view of a character from Shakespeare) is well documented.” He even wrote about it on the Royal Shakespeare Company’s myShakespeareblog. Inspired, the Kims recorded some sample songs, sung by their daughter. Their journey took them to Kickstarter, a website where people can pitch ideas to raise funds and help to make their project a reality. Daeshin Kim listed his plan for the book, posted a video about it and, according to him, the fundraising effort resulted in the largest amount of money raised for a children’s book on the site, ever. And somewhere along the way, Folger Education became aware of this work and began to follow its development all the way to the actual production of the book, A Horse With Wings, which was released last December. A Horse With Wings contains 16 songs, composed and performed by the Kims, including their then five-year-old daughter. The vibrant illustrations were done by Sohyun An. Each page has lyrics expressing the point of view of the character from a Shakespeare play on a variety of topics and issues most children will be able to connect with, as well as a line directly from the text of the play. For example, in one of the songs Hamlet sings about Yorick, the court jester, who entertained him in his youth. In another, Juliet wonders what’s in a name. There is a free parents’ and teachers’ guide available as a PDF file. An iPad app is scheduled to be released this spring. To be sure, these are exciting times for the Kims, and it can be a great opportunity to introduce youngsters to Shakespeare, too. Full disclosure here: I was asked to write the foreword to the book, which I was happy to do. The book is getting a lot of positive response. Daeshin and his daughter were recently interviewed on CBS in Los Angeles, and he’s expected to be part of Folger Education’s conference on teaching Shakespeare in the elementary school in June. For more information about A Horse With Wings, visit our Shop. Happy Reading — and listening!